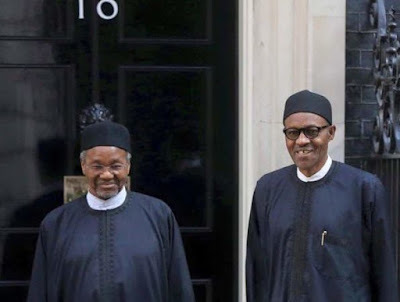 President Muhammadu Buhari on Saturday dismissed reports that his nephew, Mamman Daura, was the one calling the shots in the Presidency and by extension Nigeria. Buhari stated this in an interview with an on-air-presenter, Osasu Igbinedion. The edition in which Buhari featured has been uploaded on the programme’s page on popular social media network, YouTube. Asked it it was true that Daura, following his perceived strong influence over him was acting as the unofficial president as reported and alleged in some quarters, Buhari said as the one elected to run the country, he was in charge of the Federal Government. He said: “Sahara Reporters, I don’t know where they got their information from. I stood for the election. I visited every local government in Nigeria by air, by road and so on. And we had one of the most credible elections. So, whoever feels that he has lost (out) somehow is his own problem.